The coveted Golden Joystick has been the trademark trophy of 4S7P since the first battle back in 2011. That won’t change this year as the winner will take the Golden Joystick home to enjoy for the entire year. But this year we’re adding a new tradition with a new trophy. This trophy doesn’t replace the Golden Joystick. Nay, nothing could ever live up to that demand. No, instead we’re adding a trophy to the ceremony. This trophy is slightly less posh and by all rights, pretty boring, but it will be given to this year’s champion for them to keep. 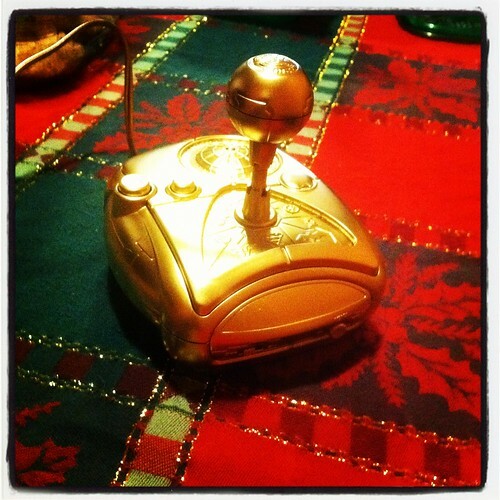 Chasing the Golden Joystick is drives us. Motivates us. It infiltrates our dreams at night. 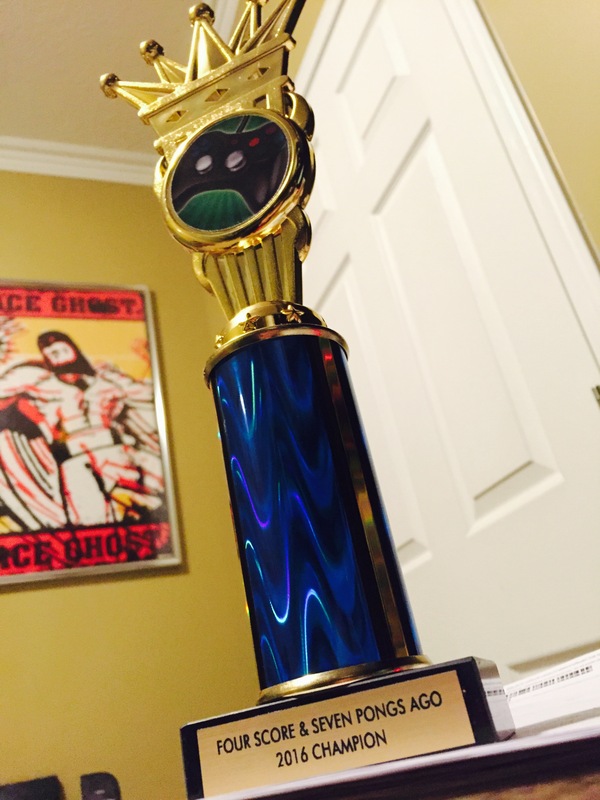 This new trophy is just a momento, really…a souvenir for the victor. Something that isn’t handed back and fourth, year after year. This one’s a keeper. Who will be the first to receive this new trinket? Will it be Jared, the defending 2-time champ and captain of Team Jarbo? Or will Brian of Team Toast bring the gold back home where it started in 2011? It’s going to be a long, grueling day of battle for video game supremacy this Saturday. With this year’s new format, having the stamina and endurance is just as important as playing the games. Choose your team and place your bets. But wait…lets not be too selfish here. Lets not forget this year, Four Score & 7 Pongs Ago is about the children. Help us reach our goal of $1000 in donations for Child’s Play so we can share the gift of gaming with those who need it most. Please, donate what you can. Don’t forget to watch it LIVE on Twitch, this Saturday, Janurary 16 starting around 12PM ET. Follow @4score7pongs for updates and like us on Facebook.